Banker Lopez Gassler will be a bronze sponsor of the 2013 Relay For Life of Eckerd College. 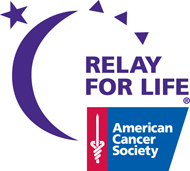 The American Cancer Society's Relay For Life event is a global movement to end cancer. It is an opportunity to honor cancer survivors, remember loved ones lost and raise awareness about what we can do to stay well from cancer and raise money to help fuel the world's largest walk to end cancer. For more information about the event, please click here.